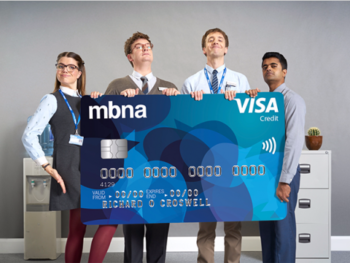 This is my review of MBNA’s new Horizon Visa credit card. Yesterday I wrote about how MBNA has pulled the plug on the UK Etihad Guest credit card from 27th July. This is also now confirmed as the final date for the MBNA American Airlines credit card. I also expect that the Lufthansa, United and Emirates cards will also be closed on 27th July. MBNA may be staggering the letters or it may be staggering the closing dates, it isn’t clear. The Virgin Atlantic MBNA credit card is closing earlier, in the first week of July. Obviously holders of the MBNA Virgin Atlantic cards can simply switch to one of these two new Virgin Money-issued Virgin Atlantic cards. All holders of the Etihad, American, Lufthansa, United and Emirates airline cards are being offered a new MBNA Visa product called Horizon. This card is not available to the general public. You will only get it if you are a holder of a co-brand card which is being closed. Horizon is, frankly, great. My best guess is that it will be the least profitable credit card in the country! Some people are being offered a cash incentive to retain this card until October! I mean …. where is MBNA going to make any money here?! They give you 0.5% cashback on the back of receiving a 0.3% interchange fee. They won’t make any money when you use the card abroad. They won’t make any money – apart from a tiny interest charge – when you withdraw cash on the card. They won’t make any money on annual fees. And, hopefully, they won’t make any money off you in interest charges because you’re not that stupid. The only tiny catch is that the 0.5% cashback is paid on transaction multiples of £2. This means that a £1.99 purchase earns nothing and a £7.99 purchase only earns 3p (0.5% of £6). The APR is 22.9%, with a higher 27.9% rate applying to cash withdrawals. Should you keep this card? I currently have the MBNA Lufthansa credit card which I am expecting to see closed very shortly. My gut feeling was that I would be cancelling the replacement MBNA card before it even arrived. If I am offered the Horizon Visa card when / if my Lufthansa credit card is closed, I will be keeping it. I won’t use it much in the UK. 0.5% cashback is fine but I can get a far better return from the IHG Rewards Club Premium Mastercard. As I calculated in this article, you should expect to get an overall return of 2.3% on your first £10,000 of spending on that card. Even when you have triggered the free night, the two IHG points per £1 are worth 0.8% back. You can also get between 2.4% and a whopping 12.3% back on the new Virgin Atlantic credit cards (my maths is here) although you need to be a regular Virgin Atlantic flyer to maximise that value. However, as a card to use when I am travelling, this will do the trick. 0.5% cashback on my holiday spending and no FX fees is a great deal. Tandem has the same benefits including free cash withdrawals but Tandem is unlikely to offer the same chunky credit limits that MBNA usually gives. Tandem also does not offer free UK cash withdrawals. That said, one upside with Tandem is that cashback is paid monthly whilst MBNA is only paying out annually. I have no idea what MBNA’s strategy is with Horizon. 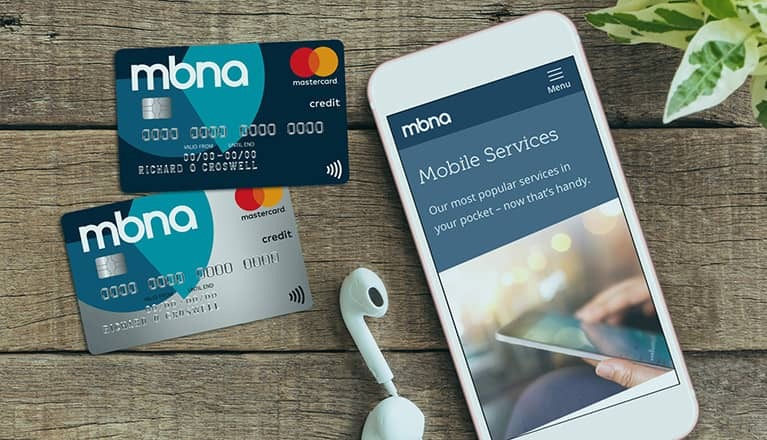 Stopping your existing customer base from defecting by paying them to stay – which is effectively what MBNA is doing here – doesn’t make a huge amount of sense in the long run. Whilst I admit that MBNA runs a very impressive operation, almost up to Amex standards, holders of the co-brand cards were primarily loyal to the airline and not to MBNA. Perhaps they are hoping that most of their customers won’t be aware that they can continue to earn American, Lufthansa, Etihad etc miles via the Starwood Amex, Amex Gold, HSBC Premier etc and will stick around. If you are being transferred to a Horizon Visa, I would think twice before cancelling it unless you already have another option for foreign spending with a good credit limit. You can feel happy tucking it into your passport and focusing your UK card spend elsewhere. Final closing date for MBNA's Virgin Atlantic cards announced - what should you switch to? OT > I have the 10k bonus points activated, with the anniversary at the end of June. Any recent experience for how long they take to post. If I upgrade to platinum first would I lose that bonus? Yes you’ll loose it. They post at the end of the first month, so you’ll have to pay for 1 month of the gold card. Once the points post, then do the upgrade. About a month after anniversary. Yes, you’d lose the bonus. Wait. Yep, MBNA always fine about shifting limits between cards. Just had 2x SMS and an e-mail from AwardWallet warning me that some M&M miles will expire on 30 June 2018. Presumably these are those credited in June 2015 and I can look forward to similar future messages. Rob, you suggested posting expiring Miles&More Miles to Heathrow Rewards. Yes, I’ll do that for my existing HR account. But what about Mrs Roger’s expiring M&M miles? I believe only 1 HR per family is allowed. I’m checking how Mrs Roger can open her own HR account. Is a different e-mail address enough? Thanks. If you live at 1 The Street, does she not live at 1a The Street? Indeed, or if you call them they can manually create an account for another person at the identical address. There is something in the theme coding which is stopping it showing on desktop. Need to get the IT guy to look at it. Really? This is the box saying ‘Tick here to save your name and email details for next time’? I don’t see it. So is this new Horizon card better than the Halifax Clarity overall? So the exchange rates will be the same when abroad? And no fees either? Same postcode must be OK as several addresses share the same postcode anyway. Thanks, I might go for it once the Lloyds Avios cards are defunct. Off topic a bit, but related to rewards cards. I’m a couple of months away from spending enough on the Hilton Barclaycard to get gold for next year. Any idea whether it’s worth continuing, will they still honour the gold if I spend the 10k? The card has been closed to new applicants. But there many sneaky fees… Illiquid currency fees in asia. Weekend FX fees everywhere. Fees if you go over £200 ATM each month. So as long as you are not in Asia, do not use the card on a weekend and use the ATM a lot, then yes its great. Well it was enevitable wasn’t it. The letter dropped on my doorstep today. Think I will keep the card purely for the no fees abroad! Such a shame about losing the virgin Amex! Anyone have an idea where we stand with cancelling these cards now and getting a pro rata refund on the annual fee? The awards ends on the 7th July but the letter states that we have to wait until the end of July to get the refund. However, I now have no need for the Virgin card as it’s going into an Horizon account which I will also have from my AAdvantage card. The Virgin card is the easiest to close as I’ve just paid the month off and not spent anything on it. Why should I have to wait 2 months when a) they’re changing the terms for what I paid for, b) I can remove a card 2 months sooner from my credit file and c) I should get 2 months fees pro-rata. Is this a new option? GDPR? I have just found that details are no longer remembered (Firefox – 2 machines with different versions). Yes, but the coding seems to conflict with our ‘theme’ coding. OT. I currently have have the amex gold, can I also take out the BAPP and recieve the sign up bonus on the BAPP card??. The terms are a little confusing.